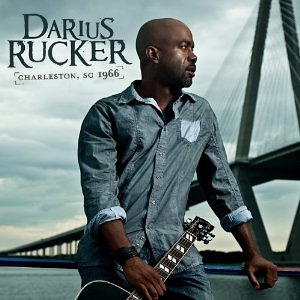 It's common knowledge that Darius Rucker is a South Carolina alumni as well as a rabid Gamecock fan and supporter. However, he is also the most humble celebrity you may find and we are proud he is a big part of Gamecock Nation. Whether it's a cameo in one of his music videos or as simple as a hat on stage during one of his tours, Darius Rucker always finds a way to show love for his Gamecocks! He always makes time for his fans, he is always available for a picture or an autograph, and he constantly responds to fans on twitter, trying to take time for each and everyone. I think I speak for all of Gamecock Nation when I say, Thank you for everything Darius! We are all proud of you! Darius new album True Believers comes out May 21st 2013! Be sure to pick up a copy and support Darius as he supports all of us! BCB: If you could take one current NFL player from any team and put them on the Dolphins who would be? BCB: With Tiger playing well as of late he is considered by many as a favorite for The Masters, Who is your favorite to win this year? BCB: Monday After The Masters has always been a huge success for Charity and a lot of fun, which year was your favorite and why? DR: Loved them all, the years with Tiger and Arnold Palmer were special. BCB: Rumors are that you performing at the 2013 spring game on April 13th, can you confirm that for us? We would love to see you again! DR: Tried really hard to but have a gig that night, next year for sure. BCB: Your new album "True Believers" is set to release May 21st, what would you say your main inspiration was behind this album? BCB: What is your best memory as a Gamecock fan? BCB: Have you ever thought about writing a Gamecock party song just for fun? DR: Yeah, that's actually something I'm going to do! BCB: Have you ever met Coach Spurrier in person? If so what was the first impression you got from him as a person? DR: Yes, he is an amazing man and I always enjoy spending time with coach. BCB: How do you feel about the incoming 2013 Football class at USC and how do you think we’ll do this season? DR: Love the recruiting that is happening at SC. Very excited for this season! BCB: Rumor has it you bought a Ric Flair robe, have you ever wore it in public? DR: Never wore it in public but it is the center of my sports collection, I love that thing!